Risk Assesment Test: What's your number? A self-directed brokerage account is the most underrated investment option in a 401(k) plan. That's assuming, of course, it's even made available to the employee. The simplified explanation of a self-directed brokerage account inside of a 401(k) plan is that it offers individual plan participants (you) a "brokerage window" where they can trade investments (actively managed funds, stocks, bonds, mutual funds, etc.) that aren't in a plan's official investment lineup. All Tennessee State Employees and over 250 Mid-South Companies have added this essential benefit. Click here to see if your company is one of them. 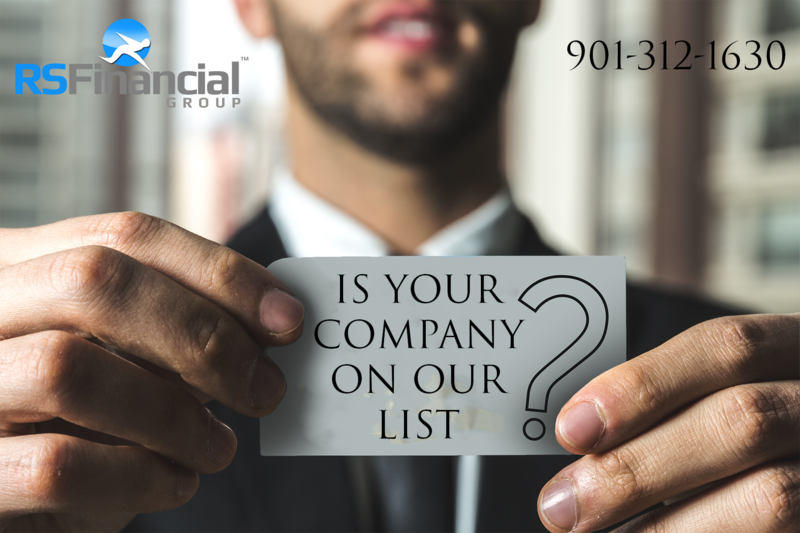 RS Financial Group can help you expand your investment options today! The list below are current companies that have added your "Self Directed Brokerage Window" to their company's 401(k), 403(b), or 457 sponsored plan. Clopton Clinic Of Jonesboro, Inc.
Harding Academy of Memphis, Inc.
J.T. Shannon Lumber Company, Inc.
Meadow Wind Health Care, Inc.
New Horizons Computer Learning Center of Memphis, Inc.
Shelby Residential & Vocational Services, Inc. The Tri-State Truck Center, Inc.
V Alexander & Co., Inc.
Wepfer Marine, Inc. Wesley Housing Corporation of Memphis, Inc. Copyright 2016 © RSFinancialGroup.com All rights reserved. IRS Circular 230 Disclaimer: To ensure compliance with IRS Circular 230, any U.S. Federal Tax Advice Provided in this communication is not intended or written to be used, and it cannot be used by the recipient or any other taxpayer (I) for the purpose of avoiding tax penalties that may be imposed on the recipient or any other taxpayer, or (II) in promoting, marketing or recommending to another party, a partnership or other entity, investment plan, arrangement or other transaction addressed herein. Investment Advisory Services offered through Virtue Capital Management, LLC; A SEC registered investment advisor. Virtue Capital Management is independent of RS Financial Group. The firm only transacts business in states where it is properly registered, or is excluded or exempted from registration requirements. Please be advised that presently, Chris Sumner holds Series 65 Licenses. For residents of other states in which registration is not held, proper licenses and registrations must be obtained by Chris Sumner before proceeding further. No part of this communication should be construed as an offer to sell any security or provide investment advice or recommendation.